 Completed all degree requirements as stated in the academic catalog under which you are governed. Cleared all financial obligations to the Academy. Applied for graduation in My Student Portal and submitted the graduation application fee. Completed the Exit Survey. Exit surveys are available in the course management system (CMS) within 24-48 hours after the graduation application has been submitted. Completed Financial Aid Exit Interview at http://www.studentloans.gov (For financial aid recipients only). Graduates will receive one complimentary official transcript. Students will receive their diplomas 6-8 weeks upon conferral. Graduates that wish to have their picture taken (in graduation regalia) with the President should contact student services at registrar@ussa.edu. Don’t forget to join the Alumni Association.